Description: [boor-RAH-tuh] The name ‘burrata’ means ‘buttered’ in Italian. 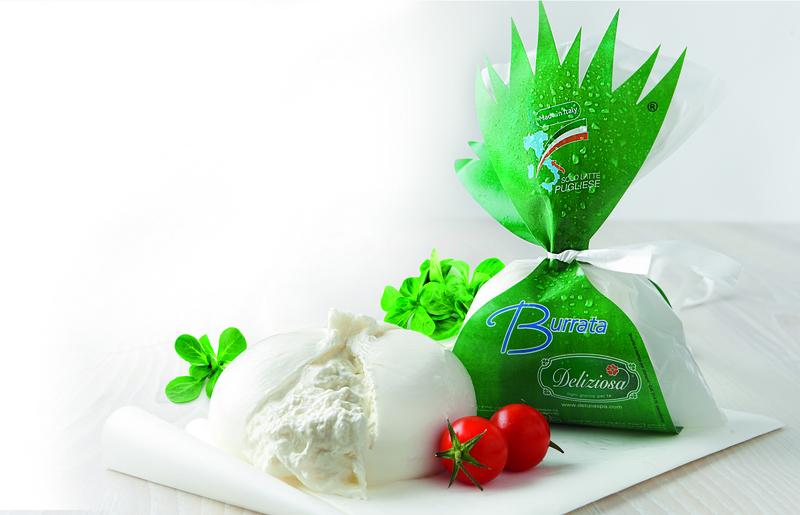 It is a rich, porcelain-white, unripened cheese made by combining mozzarella and cream. 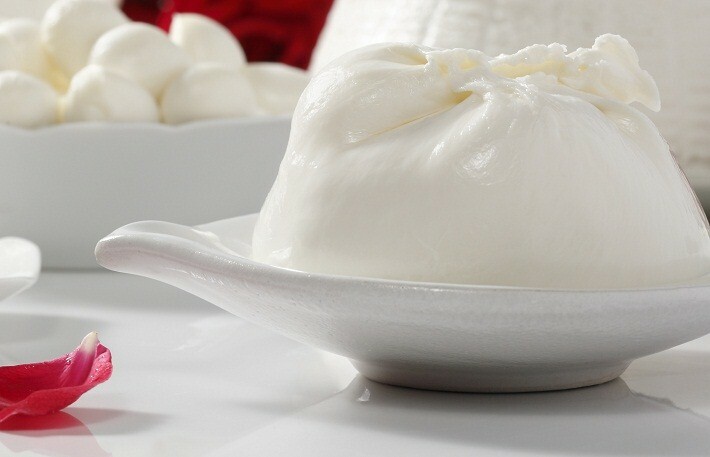 The outer shell is solid mozzarella while the inside contains both mozzarella and cream, giving it a unique soft texture. It is usually served fresh, at room temperature. The hand-crafting of this cheese gives it an unmistakable consistency and a unique flavor. Burrata is a traditional dairy product from the Puglia region, in particular from the area of Bari. Our burrata cheese is amazing in salads, on crusty breads, and adds a richness and creaminess to many dishes.